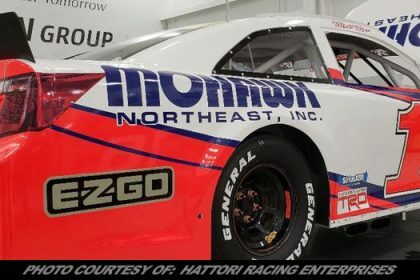 Story By: RETTE JONES RACING – MOORESVILLE, NC – Officials from Rette Jones Racing (RJR) announced today that NASCAR Next alumnus Tyler Dippel will return to the organization for his third season of competition in the NASCAR K&N Pro Series East. 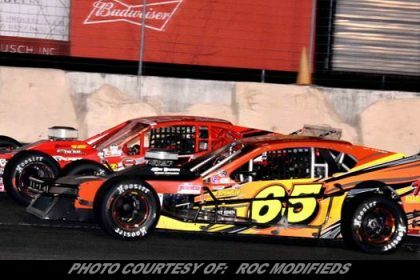 Dippel, a native of Wallkill, New York will continue to pilot the No. 30 D and A Concrete Contractor / TYCAR Trenchless Technologies Ford Fusion. 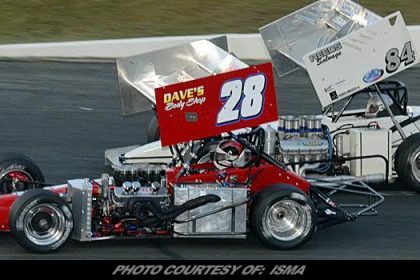 He’ll make his 28th career start in the season-opening Jet Tools 150 at New Smyrna (Fla.) Speedway on Sunday night, Feb. 18. “I’m looking forward to another season in the NASCAR K&N Pro Series East with Rette Jones Racing,” said Dippel. “We had speed last year, unfortunately, we encountered some bad luck along the way that hindered our ability to produce better finishes. 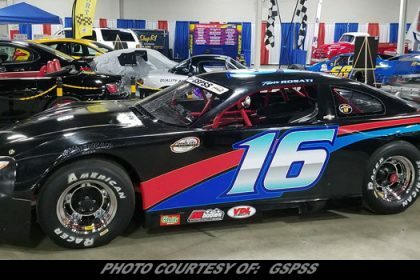 In his sophomore season of competition at RJR, Dippel, 17, was able to carve weekly speed from his Mark Rette-led team which propelled the Mooresville, N.C.-based team to two top-five and four top-10 finishes along the way. The New Yorker earned a season-high third place finish in the season-finale at Dover (Del.) International Speedway this past October. Despite a four-month hiatus since Dover, Dippel trusts his team will pick up right where they left off when the green flag waves on the 2018 season in less than two weeks. “We really came into our own during the summer stretch, especially at the end of the year,” added Dippel. 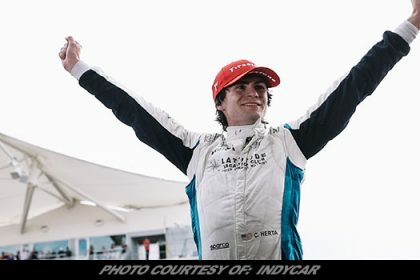 “The team worked tremendously hard to bring the fastest Ford Fusions to the race track every weekend and that was clear by our race day performances, especially at Dover. 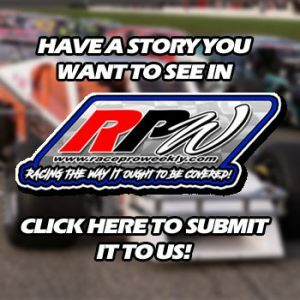 Before launching a career in the NASCAR Regional Touring Series in 2016, the teenager boasted a successful year of year of big-block modified competition in 2015, where he became the youngest winner in the northeast area, while also earning Rookie of the Year honors in the DIRTcar Northeast Series. Dippel began his racing career at the age of seven, racing slingshot race cars, considered scaled down versions of dirt modifieds. 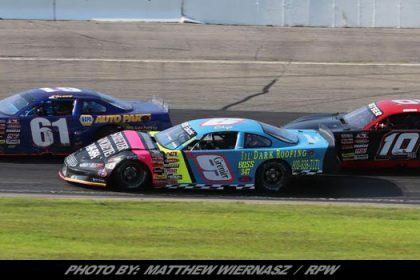 Dippel made his first full-size stock car start on asphalt in 2014. 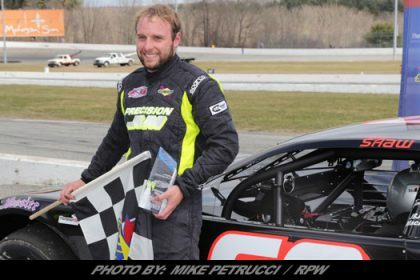 In 2015, he held the PASS Super Late Model national points lead throughout the season until the season finale, when a mechanical failure ended his race early. Additionally, he made three starts in the ARCA Racing Series, with a career-best of fourth at the tough Salem (Ind.) Speedway in Sept. driving for Lira Motorsports. 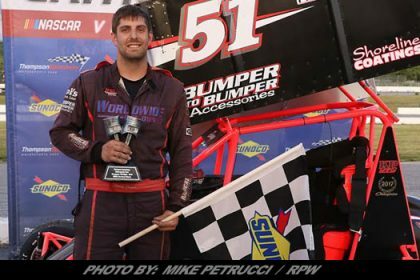 He returned to the ARCA Racing Series scene in 2017 where in three races he delivered a career-best third place finish on the dirt at the Illinois State Fairgrounds in Springfield, Ill. This season, while a limited presence in ARCA competition is favorable, Dippel will also compete in select NASCAR Camping World Truck Series (NCWTS) races also fielded by RJR. “The Truck Series is one of the most competitive forms of NASCAR right now,” sounded Dippel. For Rette, an ARCA championship winning crew chief is thrilled to have another year to develop Dippel’s talent and contend for the K&N East championship. 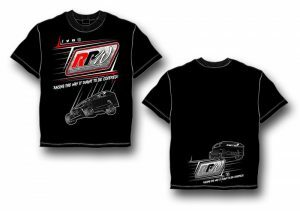 “We’re looking forward to 2018,” said Rette who co-owns RJR with Canadian entrepreneur and race car driver Terry Jones. “We’ve taken the steps at the end of last season and during the break to tighten things up at the shop and really focus on making our K&N program even better than it has been the last two years. In two seasons of K&N competition, Dippel has earned one win, three top-five and 12 top-10 finishes in 27 career starts.